ABS-CBN chairman Eugenio “Gabby” Lopez III on Friday (Aug 30) said the country’s largest multimedia conglomerate is opening its doors to Filipinos who have ideas for online shows and dream of having their concepts produced into new programs and content material on the Internet. In his keynote presentation at the 7th Internet and Mobile Marketing Summit titled “Insights About Innovation: Online and Offline Synergies,” Lopez announced ABS-CBN’s plan to replicate video-sharing website YouTube’s project that funded original channels for celebrities, online video creators, and Hollywood studios. Lopez said ABS-CBN will be choosing five or more ideas for online content, which will be funded, produced, and put out on an appropriate online platform. Ideas and concepts can be sent to [email protected] before the end of the year. “What YouTube is doing for the rest of the world, ABS-CBN would like to do for the IMMAP members and the Philippines. If you have an idea, let’s collaborate. This is exactly how: Send us your content ideas that you think will work on the digital space,” he said. “We will promote them aggressively. And like what they do on YouTube, we will go into a revenue-sharing partnership,” said Lopez. “If the idea flies in the online space, we can look into migrating them or recreating them in the analog broadcast market,” he added. Lopez said that content creators may work on the new top-rating primetime teleserye “Got to Believe” and develop ideas that can be produced into webisodes. However, he encouraged entrants to be more creative and not limit their ideas to teleseryes. ABS-CBN’s plan to collaborate for online content is a way of enriching the network’s broad online presence and reach. 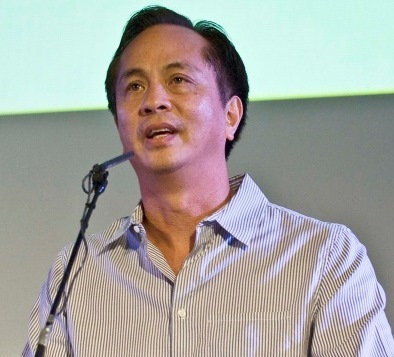 ABS-CBN’s online properties, including video-streaming website iWant TV and its various YouTube channels, approximate 100 million views per month, Lopez noted. “Our feeling is that the digital era is really the great equalizer. You are at par with any studio, any network, any movie company. You only need passion and your idea. I think it is passion that will drive the new digital era. We want your ideas and we’re willing to work with you. If you have an idea that defines who you are in this planet, we want to hear it,” he said. Lopez and Lim were among the industry thought leaders and experts who served as speakers at the 7th Internet and Mobile Marketing Summit, which is organized annually by the Internet and Mobile Marketing Association of the Philippines (IMMAP), an association of Internet and mobile marketing establishments in the country. Great idea. With iwantv and TFC.tv going strong, online originals would be a nice addition! Heck if they can't even decide where to put I Dare You, I think online would fit.